I am one of these people that tends to get slightly nervous of baking with kids. 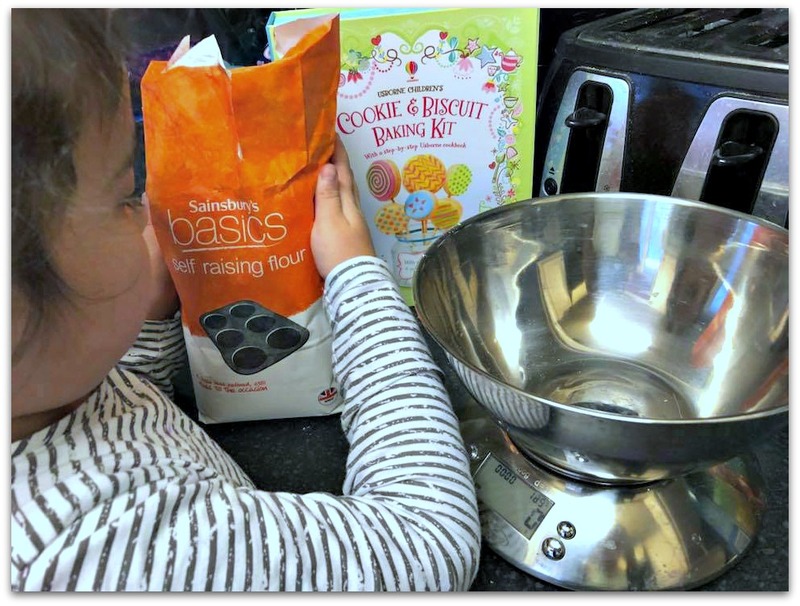 Rather than the cute images of bits of flour on their face and perfectly baked cookies…I have visions of a kitchen looking like a bomb has gone off, with the kids looking like they have been rolling around in the ingredients…. and burnt cookies. And that pretty much sums it up for us. BUT the kids have fun and that is the the main thing. 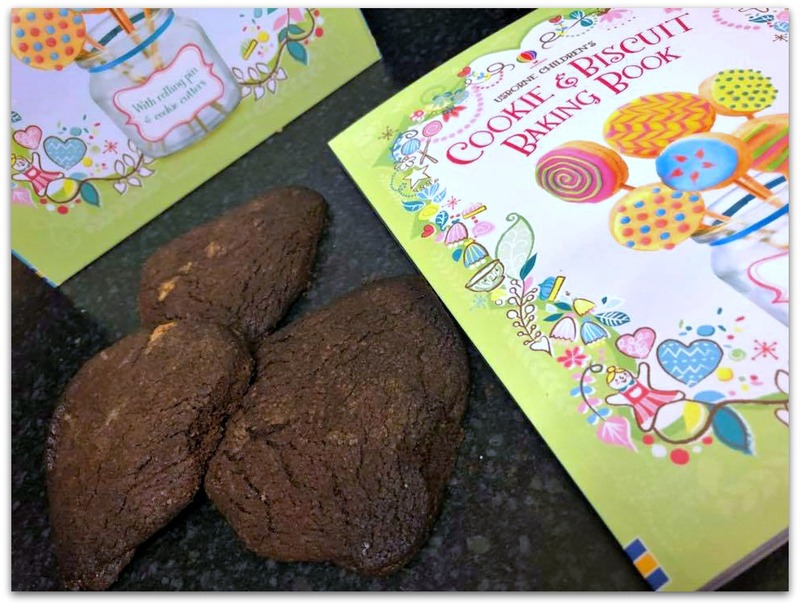 I decided to be brave and try out the Usborne Cookie and Biscuits Baking Kit. 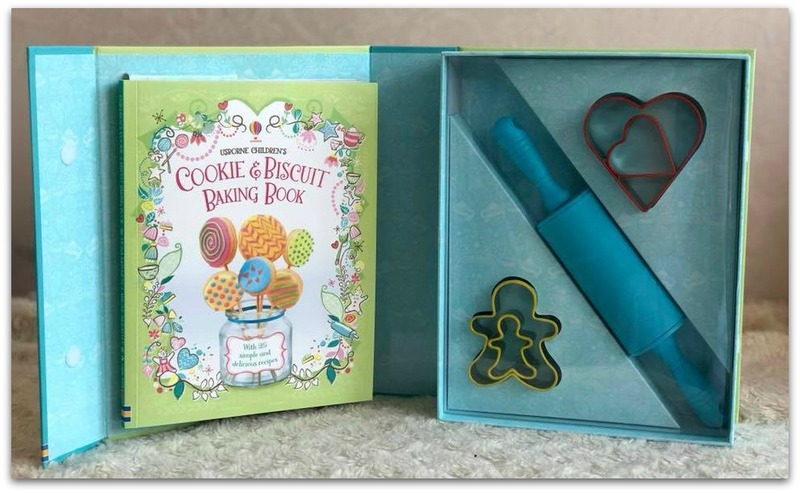 We found the baking kit so cute as it comes with it’s own rolling pin and cookie cutters. Bee of course couldn’t wait to get baking….but I must admit it took me some time to pluck up the courage to venture into the kitchen with her. The Cookie and Biscuit Baking Book contains 25 recipes for cookies and biscuits. It also has advice on getting started and baking basics along with baking and decorating tips. The instructions are easy to follow with images as well to help you along your way. 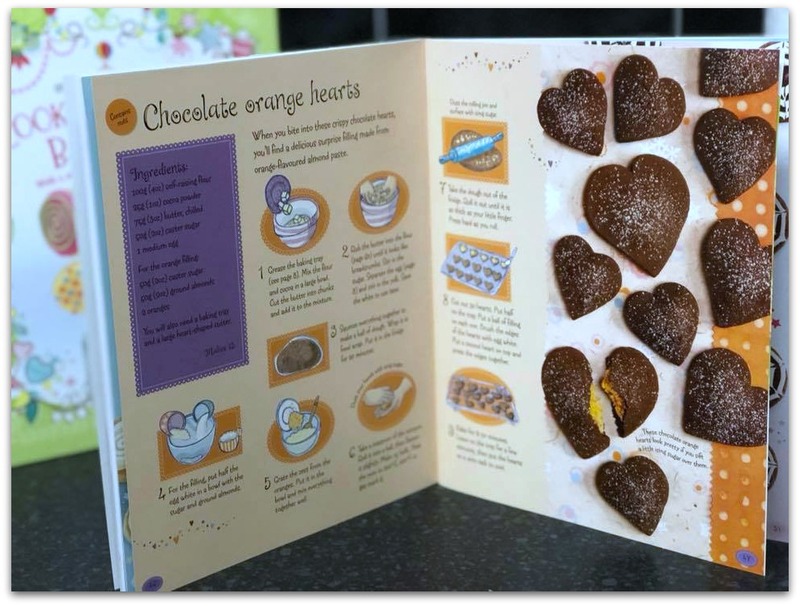 As I am a bit of a chocolate freak we decided to have a go at baking the Chocolate Orange Hearts. If you are a regular baker then most of the ingredients needed for this recipe are likely to be in your cupboards. The recipe was clear and looked pretty straight forward and Bee was so excited to get started. BUT they still tasted good and that was the main thing! If your kids love baking then they are sure to love this little kit. With yummy recipes that are all pretty simple to attempt, the children will love having a go at making their own biscuits and cookies. A perfect activity to do when you don’t fancy going out. If you like the look of this book then Usborne do a number of different ones. If you are on Facebook then sister Aisha has a group where she shares book details and offers. Do take a look and join. You can also find her on instagram: AichaBook. Other books we have reviewed are Usborne World of Animals and Usborne Book and Puzzle: Under the Sea. 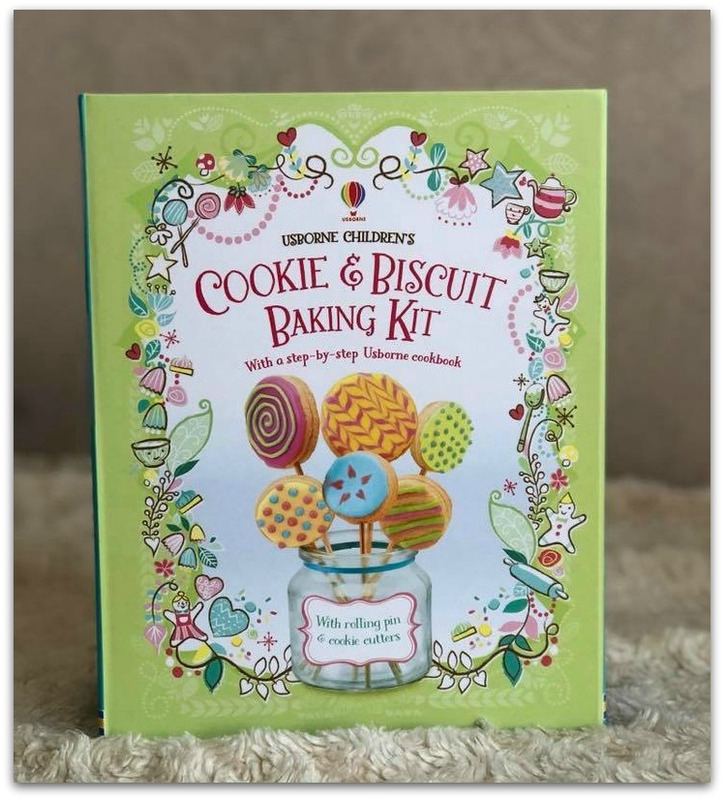 Disclosure: We were sent Usborne Children’s Cookie and Biscuit Baking Kit for the purposes of review. However all thoughts and opinions are our own. This looks fun! I so do not bake but this looks easy enough even for me! This is such a cool idea! I absolutely love this baking kit! Thanks for sharing! Oh this baking kit looks really cute! And yes! I am the same, I would probably worry that the kitchen would looks a state after! We just got settled into our new apartments. As soon our pots and pans arrive, I will give this a shot! 🙂 Masha’Allah looks like a lot of fun. It will sound really funny but I can not wait to have kids so I can do things in the kitchen with them. I think it is such a great bonding experienece! This looks lovely! Love usbourne books generally so this book sounds perfect for us especially as I get nervous around making biscuits! Thanks for the review!